Shipping medical equipment and devices to doctor's offices, clinics, hospitals and other related facilities, raises issues unique to the healthcare industry. Surprisingly, not all hospitals have loading docks designed to handle highly sensitive equipment. This is even more true for doctor's offices and clinics. If you are crating and shipping surgical equipment or other medical devices, here are a few things to think about. As you decide upon the type of packaging to use, remember that first and foremost it should be easy to maneuver. Crates - when crating medical devices, weigh your need for stability versus mobility. Reusable shipping crates can be bulky and difficult to handle but they offer the greatest protection against the threat of damage in shipping. Corrugated containers - what's more important, flexibility or safety? Corrugated containers are very light and disposable but provide less product protection. ATA cases - are more expensive but offer great product protection, are easy to move around, may be used repeatedly and may actually provide great value on a cost-per-trip-basis. Choose packaging, if possible, that is easy to unload. Open with ease - packaging should be designed in ways that are simple for hospital and clinic staffs to open. Crates that open without tools, for example, are likely to be less problematic than those that require special tools. Match packaging to delivery environment - when possible, packaging should be designed with prior knowledge of its destination in mind. For instance, incorporate methods for safe unloading of heavy equipment. See that ramps and supports can handle the casters and wheels on the equipment.These issues become more than matters of convenience but also impact safety during delivery. Make sure it's movable - if at all possible, choose a packaging solution that does not require a forklift to maneuver. Remember that those on the receiving end probably are not equipped for a very complex unloading procedure, so it's your job to plan ahead on the details (casters sized appropriately for ramps, packaging fits through doors, can be moved with simple tools such as a dolly, etc.). Facilitate "Plug and Play" delivery. 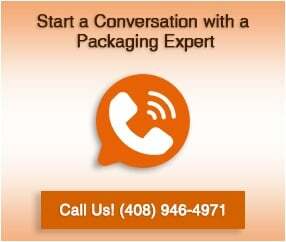 Accept advice from your packaging partner. A good crating company will have design engineers that can help you ship your products pre-assembled. It's always preferable to ship accessories like teach pendants, robotic arms and related items in the same container as the main product so they too avoid possible damage and loss. There are times when less is more. When preparing for medical equipment packaging and shipping, think about how your package will be handled upon delivery - then strive to find stable, simple packaging solutions.